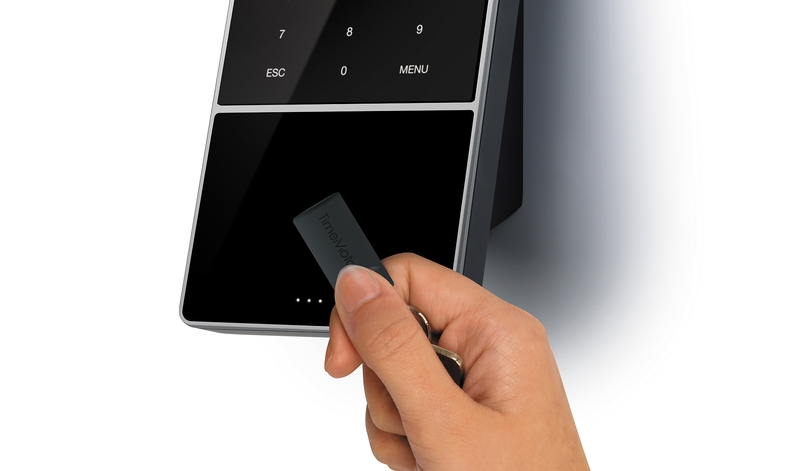 TimeMoto’s intelligent TM-838 terminal combines the latest RFID proximity reader and dual camera 3D face recognition with PC software for single PC use or TimeMoto Cloud. Choose TimeMoto Cloud for instant synchronization across your entire network from any location at any time, making it easy for employees to clock in and out while giving you powerful tools to efficiently manage your workforce. TimeMoto Cloud enables you to handle all your timesheets, scheduling and reporting from any location, whenever you need it. Our TimeMoto system includes a 30-day trial. Giving you the opportunity and time to discover TimeMoto Cloud’s many advantages before choosing a subscription. 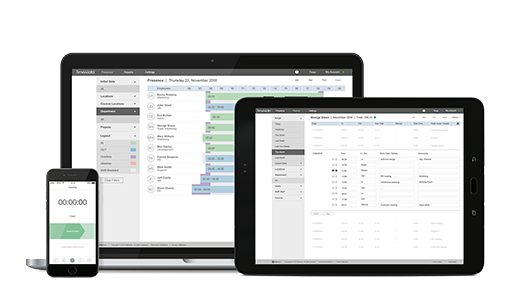 TimeMoto Cloud’s power, scalability and flexibility, make it the ultimate time attendance solution for every company. Access TimeMoto Cloud using any browser, TimeMoto app or in combination with TimeMoto terminals. All fully accessible online. You don’t have to install any software. No need to pay for an upgrade, your TimeMoto Cloud is continually up to date. A flexible and low-cost solution for all your time attendance needs, whether you have ten employees or ten thousand. Enhance your company entrance or wall with the sleek yet durable TimeMoto TM-838. Its large 3.5” TFT display shows all information in crisp detail. 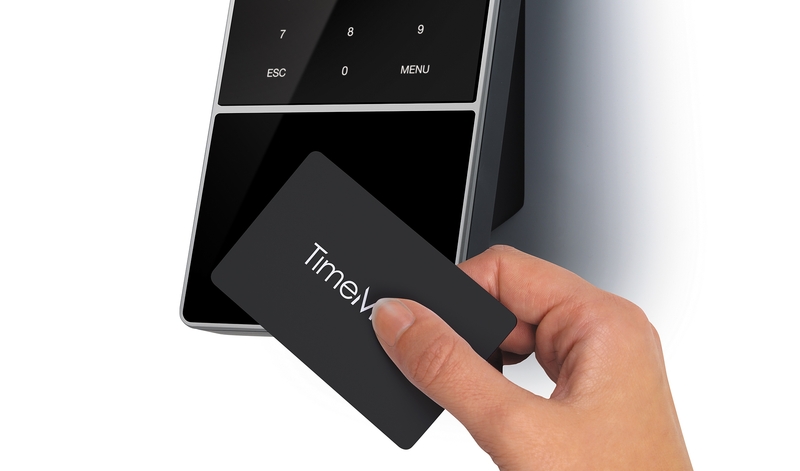 Enjoy using TimeMoto’s beautifully designed time clock with easy-to-use intuitive interface. Enter project codes by lightly pressing touch sense keys. And at your employees’ fingertips are personal clock times and totals. 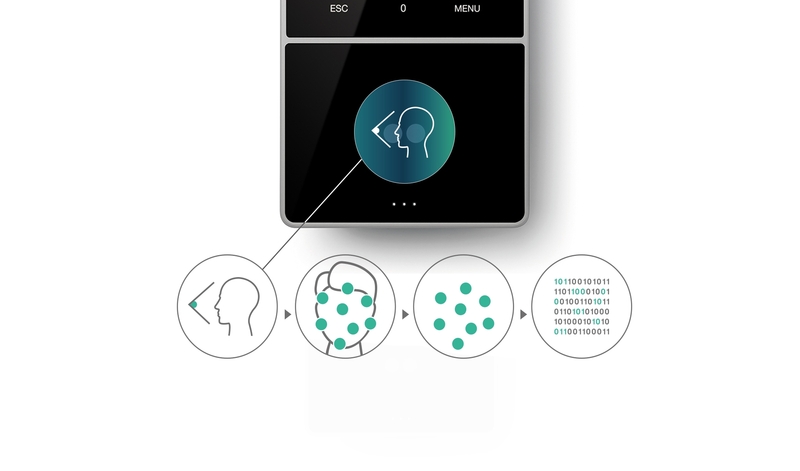 Employees can choose how they want to clock in: RFID badge, PIN identification, or with dual camera 3D face recognition. 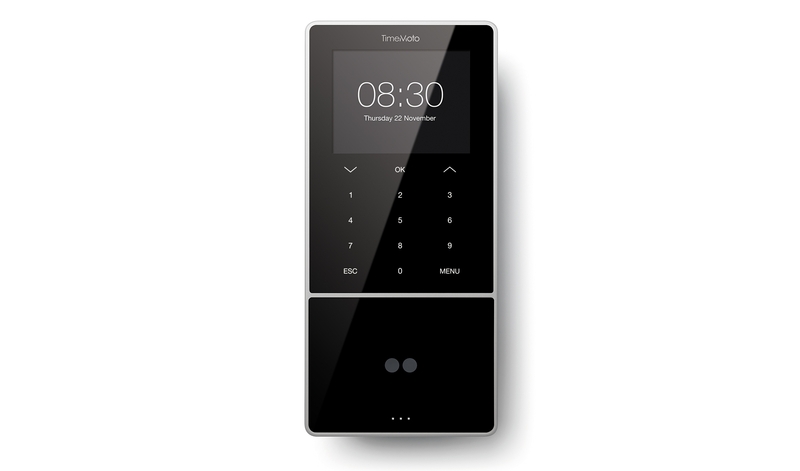 TimeMoto TM-838 communicates seamlessly with TimeMoto Cloud or PC software. You always have instant and accurate insight into employee time and attendance. Register employee time and attendance with our advanced RFID reader or Dual camera 3D face recognition. 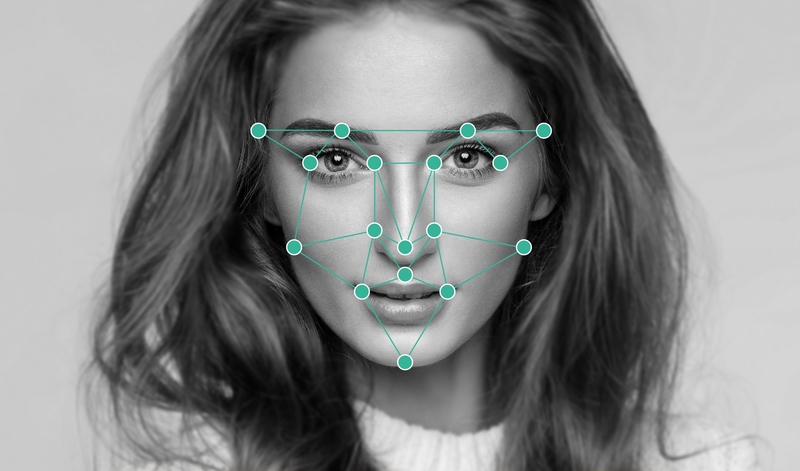 These high-technology identification features ensure secure, accurate and immediate user verification. Enter project codes and check clock times and totals directly from your device. 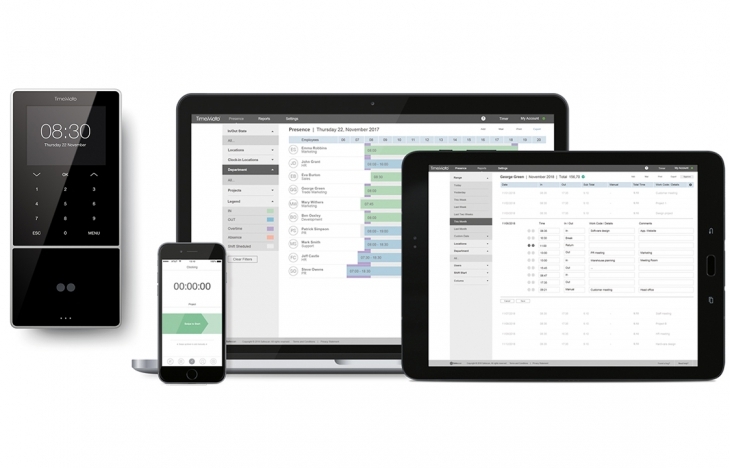 Built-in Wi-Fi and ‘push’ technology sends real-time data to TimeMoto Cloud. Access and manage data from any location. Besides instant insight into labor costs, TimeMoto Cloud users can view their specific, individual projects. Our smart clocking feature prevents clocking errors. 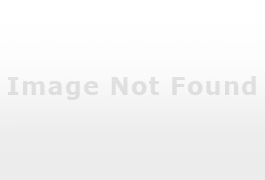 Since TimeMoto terminals recognize the most recent clocking, accidental mistakes of clocking in twice are prevented. With TimeMoto, your time and attendance data is always correct. Connect various terminals at several locations or within one office. 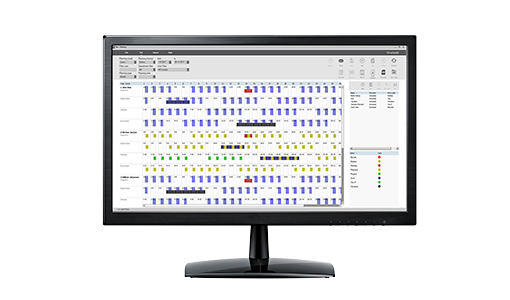 TimeMoto’s complete solution enables you to install TimeMoto whenever and wherever you need to expand the number of terminals or company locations. For total flexibility, use our iOS and Android mobile device apps in combination with TimeMoto Cloud. Access the cloud no matter wherever you are or from whatever device you’re using. TimeMoto works seamlessly with all browsers so that you can manage time attendance from your laptop, tablet and mobile phone. Wherever you are and whatever device you use, it only takes seconds to clock in and out. Select a project or project code and add a comment if you like, then simply press the button. If you lose your internet connection, all data is stored locally until you’re online again. The data is then securely encrypted and pushed automatically to the cloud. You can count on real-time accuracy. Your data is safe and always available. With access to the cloud, you can view real-time staff attendance, manage schedules and create reports at work, home or traveling. The perfect solution for supervisors or users frequently on the road or away from the office. Looking for a treasure trove of extended features? TimeMoto Cloud Plus has it all. Example of tools this system is outfitted with: 24-hour scheduling of (individual) shifts; employee arrival and departure notifications outside standard working hours; individual employee tracking of annual vacation and work hours; reduction of overtime by balancing schedules; and more effective scheduling with our special holiday feature. More users? No problem. TimeMoto offers 2 different expansion packs to customize and expand your TimeMoto experience. The 30-day trial includes Cloud Plus features for up to 2,000 users. Install your TM-838 using the included wall mount. Then connect it to your LAN or Wi-Fi network. With the step-by-step setup wizard you’ll be up and running in no time. The clear display and intuitive interface make it supremely easy to use. Our products are manufactured to exacting quality standards and come with a comprehensive 3-year warranty against defects. Choose TimeMoto Time & Attendance PC software for single PC use or for more flexibility TimeMoto Cloud and Cloud Plus. Try TimeMoto Cloud Plus for free. The included 30-day trial gives you the opportunity to experience unlimited possibilities, like 24-hour scheduling of (individual) shifts, employee arrival and departure notifications, individual employee tracking of annual vacation and work hours and reduction of overtime by balancing schedules. After the 30-day trial you can decide which solution best suits your business. Start your TimeMoto subscription for 25 users or add more users with the expansion packs for 25 or 100 users.